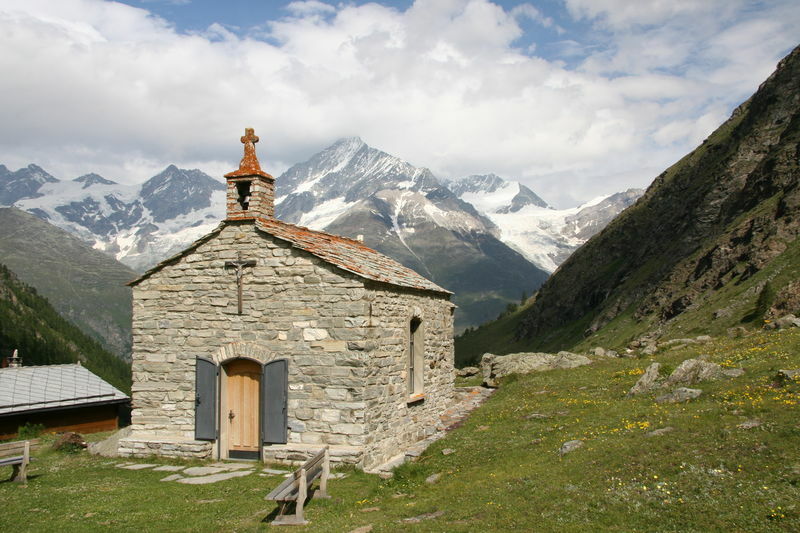 The first chapel in honour of the Apostle Peter and the Virgin Catherine was probably built at “Stafulti” in 1654, thanks to a donation that year by the local parish priest, Peter Witwig. 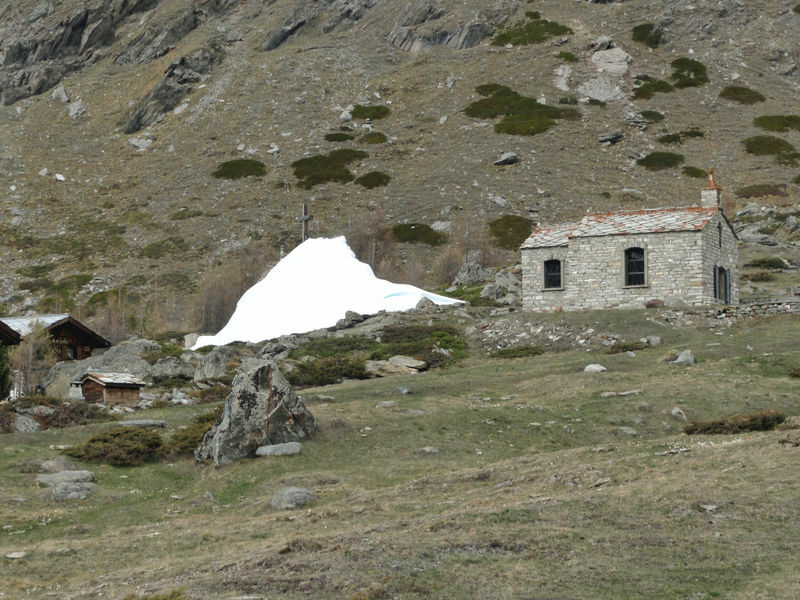 The chapel was later destroyed by an avalanche, although the foundations are still visible today. A late-Gothic winged altar was added later in the new chapel. The altar probably once stood in the first parish church in Täsch, as the same representations of the saints are included in the later baroque altar (the Immaculate Conception, Barbara and Apollonia). The Gothic Marian altar possibly adorned all three chapels at different times. Due to the risk of theft, it was moved to a safer location in 1975. 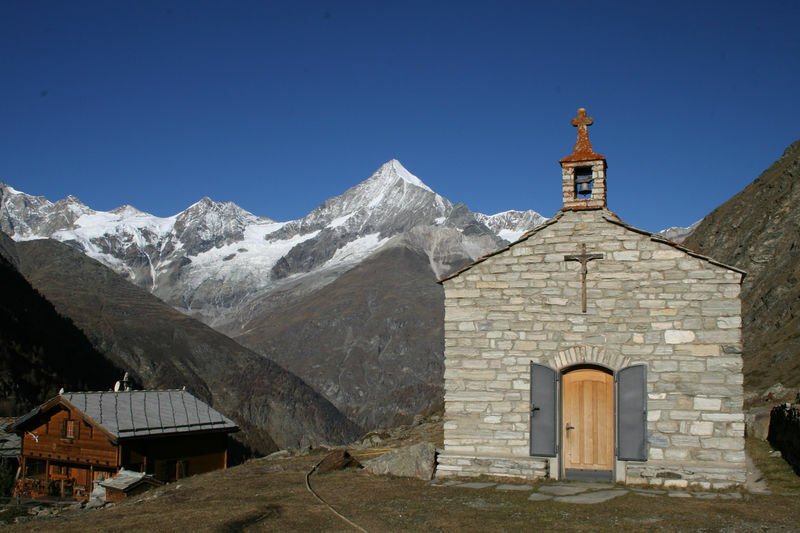 The second chapel was also destroyed by an avalanche in the winter of 1915/16, and there was no longer any question of restoration. 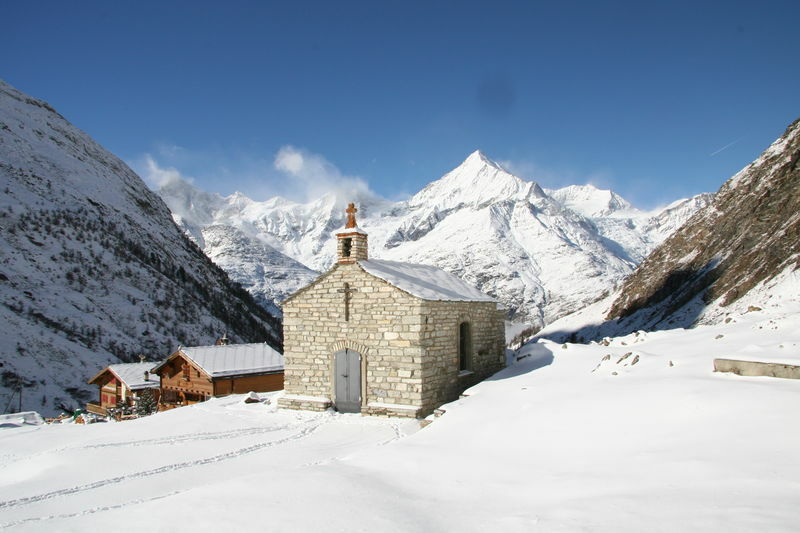 Today’s chapel was built in 1922. The double doors of the Gothic altar have since disappeared. Severe winters, roof damage and cracks in the walls have aged the chapel rapidly and necessitated renovation. The design of the Transfiguration of Christ and of the altar table was entrusted to the local glass artist Theo Imboden. The late-Gothic winged altar is now located in the parish church, in the choir on the left.